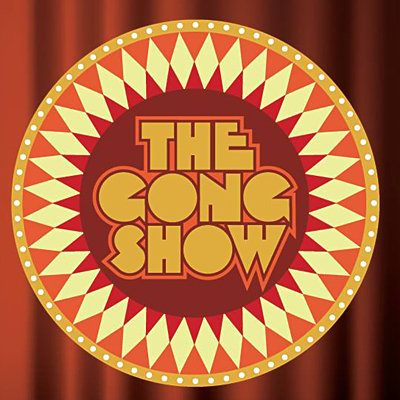 The iconic and irreverent talent show competition, “The Gong Show,” makes its way into the 21st century with a bang, celebrating unusually talented and unique performers on a prime-time stage. Celebrity judges Jason Sudeikis, Brad Paisley and Sharon Osbourne are set to praise, critique and gong unusually talented and unique performers, on “The Gong Show,” THURSDAY, JULY 5, 2018 (8:00-9:00 p.m. EDT), on the ABC Television Network, streaming and on demand. Mike Myers stars as your host, British comedic legend Tommy Maitland. Music is provided by the house band Wilder Zoby and the Gong Show Orchestra. Thursday’s acts include a father/daughter rap duo, a young contortionist who can shoot a bow and arrow with her feet, an acrobatic man and his dog, and a double whip-cracking harmonica player.